Formalise and deepen your competency in the management of Document Control projects, interfaces and improvement of DC systems. 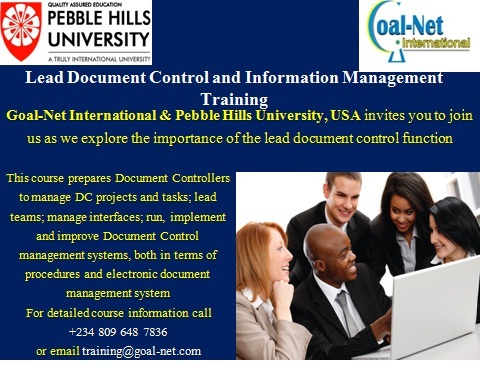 Register now for the Lead Document Control and Information Management Program. September 17-19, 2014. Call 08096487836 or email training@goal-net.com for details.